Quick Link Menu 1 - The NVIDIA GeForce GTX 465 ...2 - DirectX 9 Performance, Dire...3 - DirectX 11 Performance, SLI...4 - What Do We Think? After floundering against ATI's formidable Radeon HD 4000 series and getting upstaged by their rival's Radeon HD 5000 series, NVIDIA is back in the fight with their new GeForce GTX 400 series of graphics cards. 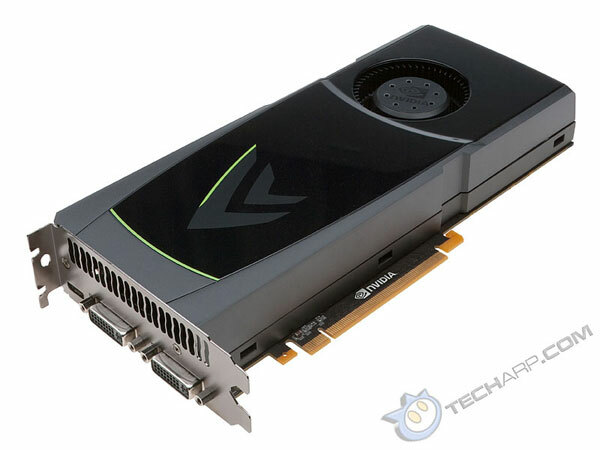 Hot on the heels of the GeForce GTX 480 and GeForce GTX 470 cards, NVIDIA launched the mid-range GeForce GTX 465 on March 31, 2010. As it befits a slight change in the model number, the new NVIDIA GeForce GTX 465 looks exactly like the more expensive GeForce GTX 470. It uses the same card design and dual-slot cooler. Both cards require the use of two 6-pin power cables. Like the other GeForce GTX 400 series graphics cards, the GeForce GTX 465 comes with two dual-linked DVI-I ports and a mini HDMI port. • What Do We Think?